The Megalodon shark was one of the most terrifying creatures that ever lived on our planet. It was the largest predatory shark ever, even more powerful than the largest dinosaurs. 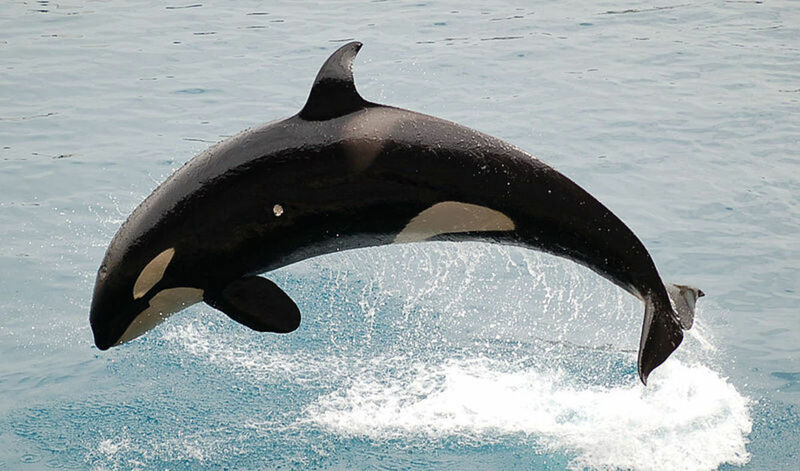 It grew to the size of tractor-trailer semi truck, and it ate whales for breakfast. It may sound like a monster from a horror movie, but Megalodon was a real shark, and it really did exist in our world's oceans at one time. We all know how dangerous a Great White Shark is, and in Megalodon we imagine a shark with the same instincts and ferocity, but much, much larger. 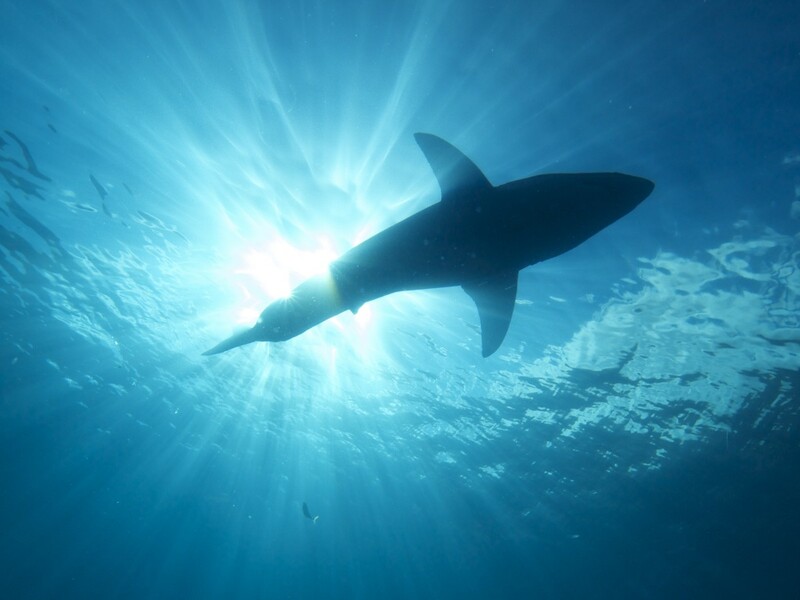 It’s no wonder this amazing shark has sparked the curiosity of so many people! This article will help you learn more about the Megalodon shark. First, we'll look at the real Megalodon. Scientists and researchers think they know quite a bit about how this massive shark lived, and you can find the answers to your questions here. Then, we will explore the possibility that Megalodon could still be alive today. It seems unlikely, but some researchers think it is possible. 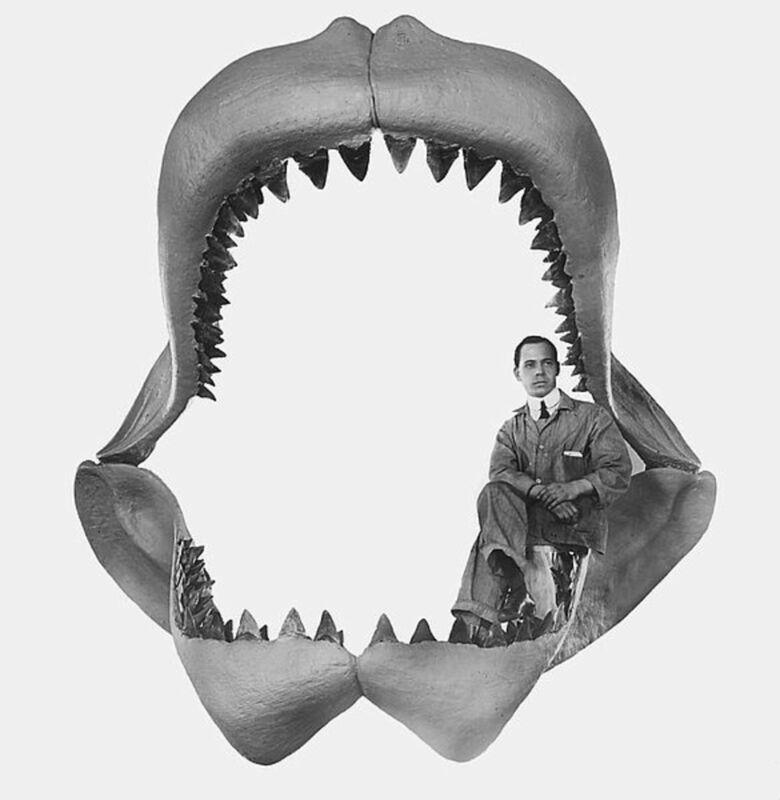 When we talk about a modern Megalodon we are entering the world of cryptozoology. Read on and learn more about the Megalodon shark! Megalodon was a real shark, and it ruled the ancient ocean. Modern science confirms this. So, have you ever wondered what the real Megalodon shark was like? Researchers have taken what they learned from studying Megalodon fossils and filled in the blanks a bit with what they know about modern sharks. The result is a fairly clear picture of what Megalodon was probably like. Of course since the shark isn't around today we can't know for sure, but experts can make some pretty good guesses. Estimates vary, but a good guess is Megalodon first appeared as early as 28 million years ago, and last appeared about 1.5 million years ago. Some researchers have calculated a slightly narrower range, more like 20-2 million years. What evidence is there that this shark really existed? Fossilized teeth, some of which measure seven inches in height, are the main pieces of evidence here. There are also rare examples of vertebrae. Because shark skeletons consist mostly of cartilage, these are the only parts that fossilize. But there are also marks on whale bones, which match with Megalodon teeth. This tells us a great deal about the size and behavior of this shark. Big. Early researchers thought it could have reached up to 100 feet in length! A more widely accepted estimate today is 50-60 feet, and perhaps 60-70 tons, but of course we can’t know for sure. Researchers use calculations based on White Shark measurements and fossilized Megalodon teeth and vertebrae. Check out the image below of the Megalodon shark compared to a human. Yikes! Anything it wanted! Prehistoric whales would have been on the menu, as well as sea lions, dolphins, and even giant sea turtles. Megalodon was the apex predator of its day, and a full-grown adult would have been capable of taking on the biggest whales in the ocean. Researchers think Megalodon was a coastal hunter, similar to a Great White. This means it would have stayed relatively close to shore. Of course Megalodon would have chosen much larger prey than the Great White. 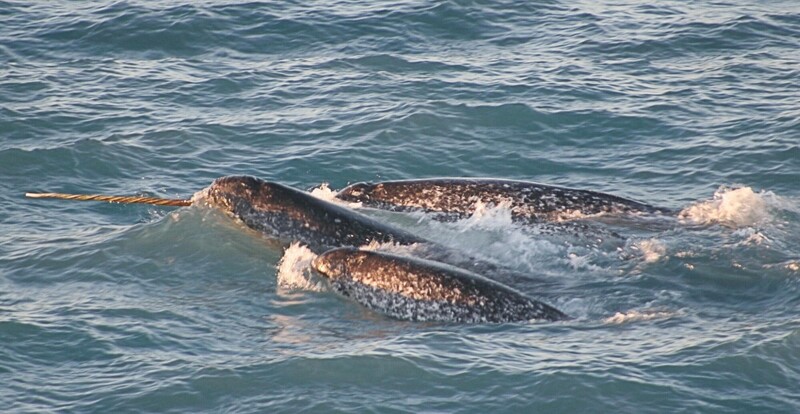 However, even today many whales pass close to shore during their migrations, so it is easy to see why Meg would have used this hunting behavior. Maybe! During part of the time when Megalodon lived there was a massive predatory whale called Livyatan Melvillei. It grew as large as Megalodon and had teeth a foot long! Since Megalodon preyed on whales, we have to wonder who got the best of who when these two monsters met. Megalodon would have lived in all the oceans of the world, as the seas were warmer back then. Juvenile sharks likely spent more time near the coast in shark nurseries, similar to Great Whites. Adults would have been found in deeper water where larger prey items were located. Why did the Megalodon shark go extinct? According to one theory, when the oceans cooled during the last ice age it upset the warm-water ecosystems where Megalodon thrived. In another scenario, the die off of many of the giant shark’s prey items made food sources scarcer. It’s also possible that the evolution of predatory whales and other sharks presented more competition for Megalodon. Did this shark live at the same time as humans? No, at least not Homo sapiens. The last Megalodon lived around 1.5 million years ago at the latest. While there would have been early human ancestors around at the time, modern humans did not evolve until much later. Did Megalodon live at the same time as dinosaurs? No again. The mass extinction of the dinosaurs occurred about 65 million years ago. Megalodon wouldn’t arrive on the scene for another 40 million years. Did it evolve into the whale shark? Nope. While it is similar in size, the Whale Shark is a filter feeder where Megalodon, like the Great White, was a predatory hunter. 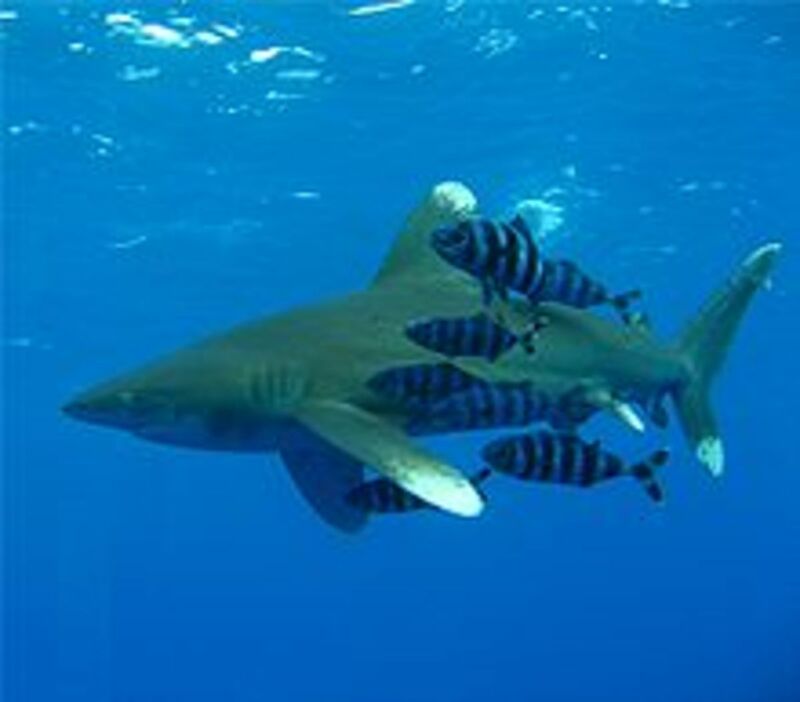 More significantly, these two sharks are of different orders and families in the shark family tree. So, while they are distantly related, one did not evolve into the other. Isn’t it just a big Great White Shark? There are two answers, depending on which group of paleobiologists you want to side with. According to some, Megalodon should be classified within the genus Carcharodon, which would make it a relative of the White Shark. 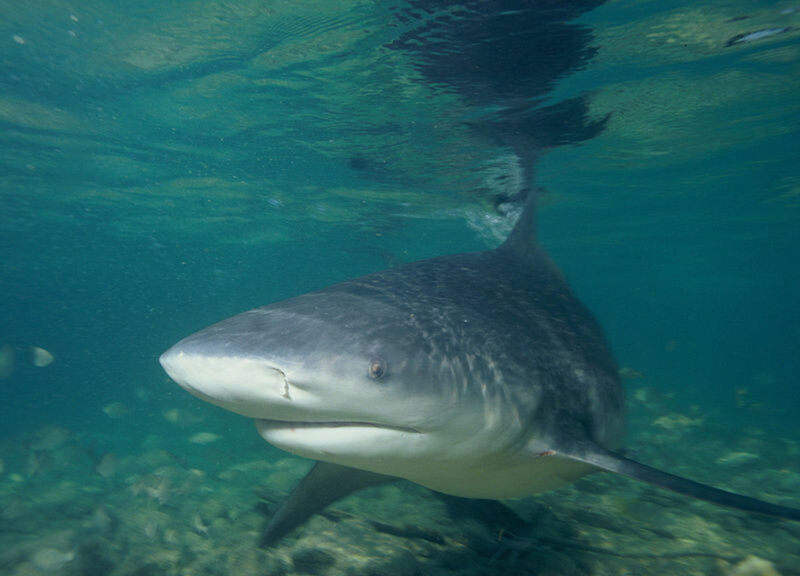 Others say it ought to be in the genus Carcharocles, which means it would have evolved in line with other prehistoric giant sharks and has no living relatives. How did Megalodon get its name? The word Megalodon is derived from two Greek words which together mean "Big Tooth". It is easy to see why early researchers would have chosen this name! Interestingly, some people believe Megalodon is still out there in the ocean somewhere, alive and well. How could this be possible, and where is the evidence? A living Megalodon is a fascinating concept for cryptozoologists, novelists, documentary filmmakers and even internet bloggers. In fact, not so long ago I wrote an article about the Megalodon shark, exploring the idea that it may still be around today. What started as a short piece about a subject I found intriguing morphed into an exchange of ideas and questions in the comments section. The debate really took off when the Discovery Channel aired Megalodon: The Monster Shark Lives for Shark Week 2013. With the wave of controversy that followed this fake Megalodon documentary it seemed like everyone was suddenly interested in the beast! Below you can find the answers to a lot of questions brought up in my original article. Feel free to ask more questions in the comments section below. Could Megalodon still be around today? Some cryptozoologists say it’s possible. The ocean is a vast place, and largely unexplored. Almost anything could exist out there, and remain undetected for a long time. Even a 50-foot shark! What the heck is Cryptozoology? Cryptozoology is the study of animals that might exist, but there is no scientific proof to say they’re really out there. Like Bigfoot, or the Loch Ness Monster. Even though Megalodon really did exist once upon a time, when we talk about the modern Megalodon really we’re talking about a creature we have little evidence for. So why do some people think Megalodon is still alive? Mostly because of alleged sightings of massive sharks by fishermen, but there’s also the matter of the Megalodon teeth dredged up during a 19th-century expedition that dated to as recently as 10,000 years old. Could Megalodon live in the Mariana Trench? Maybe, but remember that it was a coastal shark that ate whales, seals and other marine mammals. To exist at that depth it would have had to evolve to feed on other food sources. There is some evidence that Great Whites may dive deep to feed on squid, so you never know. Yeah, lots of them, but they are all fake. . . so far, anyway. Are you sure? Because I saw this video on YouTube . . .
Rest assured that if a living Megalodon were to really be captured on film it would be the discovery of the century. It would be like discovering a living dinosaur. Every marine biologist in the world would be talking about it, and we wouldn’t need to speculate on whether or not a YouTube clip is real. How can I study Megalodon for a living? You can become a paleontologist. Paleontologists study prehistoric animals by examining the fossil record. Or, you can become a marine biologist if you want to study sharks in general. How can I search for Megalodon? If you want to search for this giant shark you’ll likely be calling yourself a cryptozoologist, and doing it on your own dime. There aren’t a lot of grants available for cryptozoology, and it’s considered a pseudoscience by most professionals. However, a strong background in both paleontology and marine biology would help you in your quest. Many cryptozoologists are distinguished in other related fields and do their cryptid hunting on the side. Others work in a completely unrelated profession. I’m writing a report. Where should I start? Start with the real-life ancient shark and study what modern science knows about the creature. Then you may wish to move on to the cryptozoology side, and discuss the possibility that Megalodon is still alive today. Are you interested in studying the Megalodon Shark? Yes, the real shark that lived long ago. I want to go out and find a living Megalodon! I think I can do both. I'm not going near the beach ever again. Are There Dangerous Sharks in British Waters? If the Megalodons are still alive, life would be like the movie JAWS, but a whole TON scarier. no human taking a lovely beach swim would be safe. I mean, imagine; a Megalodon tries to eat an entire shipment vessle!!! I would be scared. I like meglodons if you ever discover they are real it will be cool and scary. I do believe that the Megalodon still does exist. We are not positive if this creature still exit, it might be hiding in the ocean!! I do believe that the megalodon still does exist, however the megalodon could be hiding in the deep in the ocean. Just the size of a fossilized Megalodon tooth is enough to know that a huge shark once roamed the sea. Even if wasn't quite a large as the scientists estimate, it was still a massive killing machine. I believe the Megalondon never existed but there may have been an growth to the Great White species that was unrecorded or a living jaws perhaps same as mermaids people started as fish then evolved to humans and then caveman and what we have today but some didn't quite evolve all the way and then there became more and more merfolk and now they could be extinct and may have been extinct by the Megalondon then the shark became extinct. Hi Angela. I understand your skepticism. However, fossilized Megalodon teeth are actually not all that rare, so there is a large sample from which to draw data. More rare are Megalodon vertebrae, but there are instances where they have been found too, even large sections of vertebral column. You are right that there is no way to reliably reconstruct this shark as they would a dinosaur, but paleontologists can deduce a great deal from just a few fossils. There is no debate that this shark once existed, but you are also right that scientists make a lot of educated guesses based on what is known of the natural world. And they change their minds as new evidence presents itself. 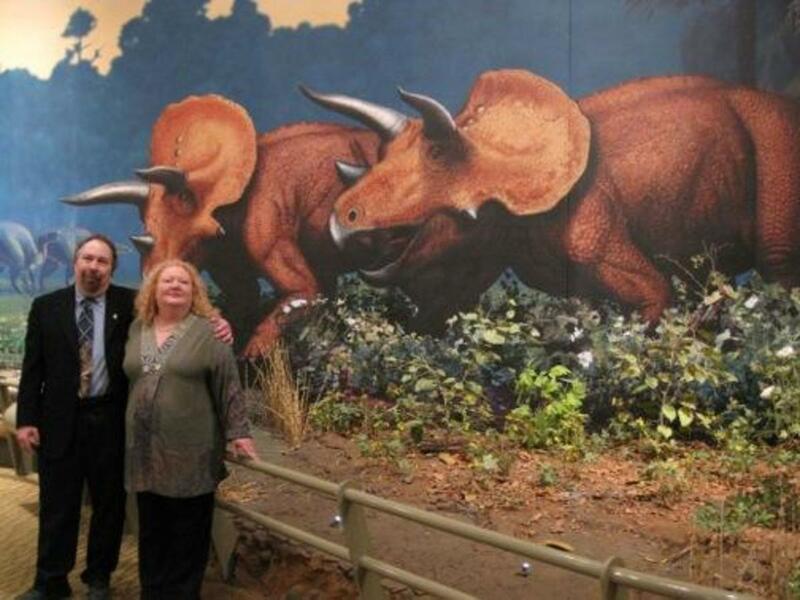 Not that many years ago many dinosaurs were depicted far differently than we see them today. Some don't even have the same names they did when I was a kid. So, I wouldn't say Megalodon is 99% theoretical, as there is ample proof of its existence and some strong educated guesses about it's behaviors and physiology. But of course nothing is certain, and there surely could be additional information discovered that sheds some new light on this prehistoric shark in ways we never imagined. I find the idea of Megalodon to be fascinating, but I just can't bring myself to believe it. There is far too much supposition around a tooth. Just because the tooth matches the basic shape and assumed functionality of a shark's tooth, doesn't mean it came from a shark at all. 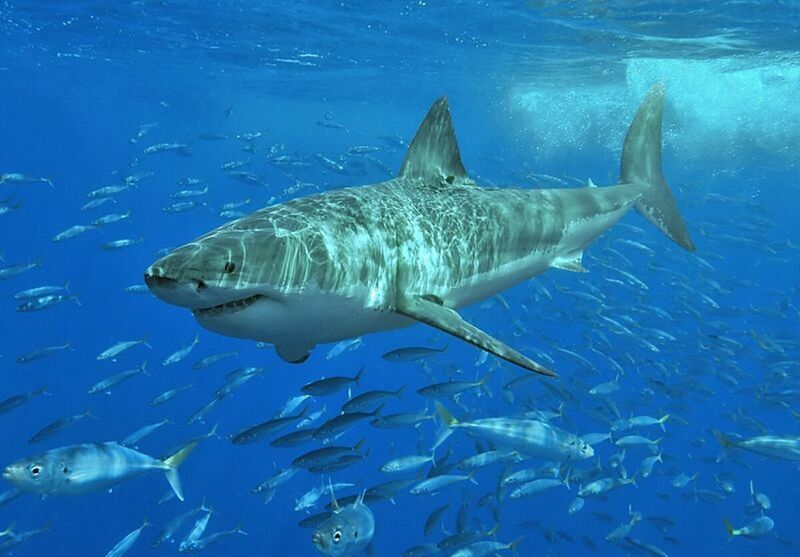 Sharks are almost all cartilage, and if they were not alive today we would have no way of knowing what they were. To reference the video above, the cuts in that whalebone also could have come from anything at all. The tooth of course is an option, but also consider any number of predators, age, environmental factors, etc. When it comes down to it, its just a tooth. This isn't like a dinosaur where we can at least have an idea of their body shape due to discovery of mostly intact skeletons. The Meg is absolutely, 99% theoretical. Please correct me if I am wrong. Maybe the idea is more "Wow, what if....." and if so then that's very cool. But like the video above I often see Meg presented as fact, and I just can't get on board with that with the present information.